playful and dramatic touch to any living space. them with plants that usher in the arrival of spring. 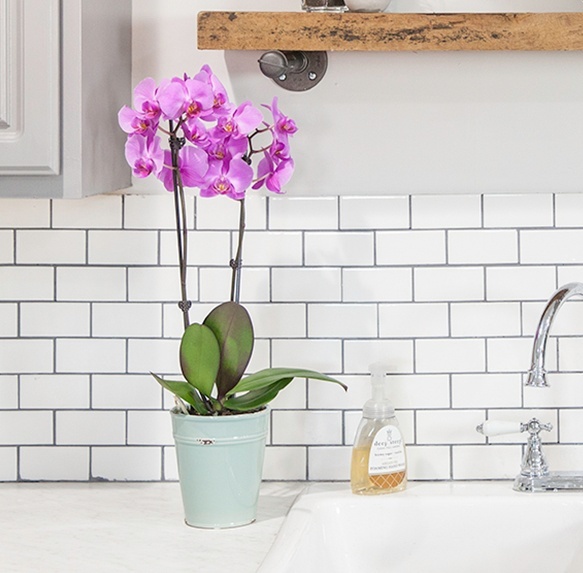 Adding just a few strategically-placed items can have a big impact on your home decor. To get the most bang for your buck, choose accent pieces in lively colors and pair them with bright, bold flowers. If you want to add instant cheer, try bright, vivid shades like Meadowlark. This yellow Vriesa bromeliad resembles the warm rays of a spring sunrise. Its lively yellow pot makes it really stand out. If you want your space to feel more like a peaceful retreat, try pairing salmon-colored orchids with more subtle shades like Blooming Dahlia. Adding flowers to your living space will certainly liven things up, but you also need to think about where to place them for maximum impact. Try something unexpected, such as placing your orchid on a pretty tray, in a seashell that hints at summer or in a basket with complementary items. This year’s Pantone color is Ultra Violet, a distinctive and complex shade that offers an air of intrigue. Look for light, airy curtains, throw pillows or table runners in this shade. Use Spring Crocus, a witty and expressive shade of fuschia, to create a backdrop of charm. The flowers in your front yard may not have made an appearance just yet, but you can make your home feel more like springtime with long-lasting greenery. 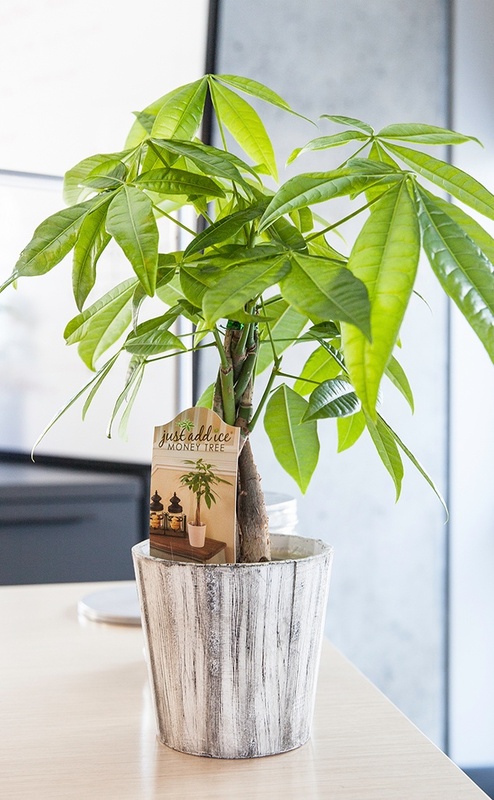 The Money Tree plant is rumored to bring wealth and good luck to your home. Try adding one to your office or living room! Rich jewel tones are hot again this year. Arcadia is a cooler, cleaner shade of green that pairs nicely with purples and pinks. Light-blue shades like Little Boy Blue pair nicely with green shades, especially in an office space or bathroom. 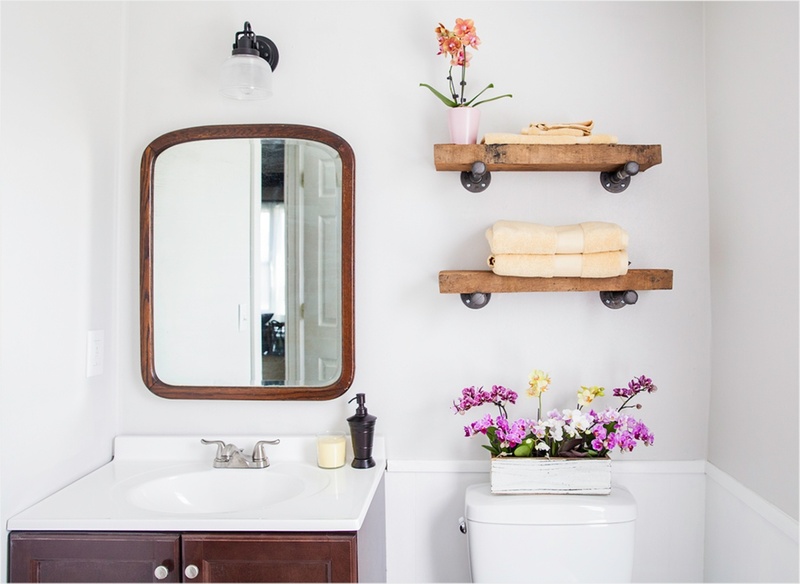 Add a few extra shelves to your kitchen or bathroom to create a stage for your springtime plants. These shelves are easy to make; all you need are some metal supports and plywood. Invite earthy elements into your home with interesting textures and fabrics, such as accessories made of wood, cork, stone or clay. 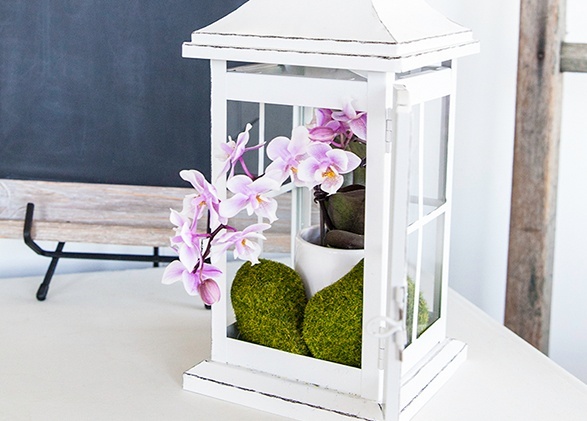 DIY projects like this miniature orchid terrarium (inside a wooden lantern) are a great way to channel your creativity while adding budget-friendly decor. Decorate On a Dime. Make Your Home Feel Like a Million Bucks. Liven up your living space this spring with intriguing colors, unique textures and long-lasting plants. 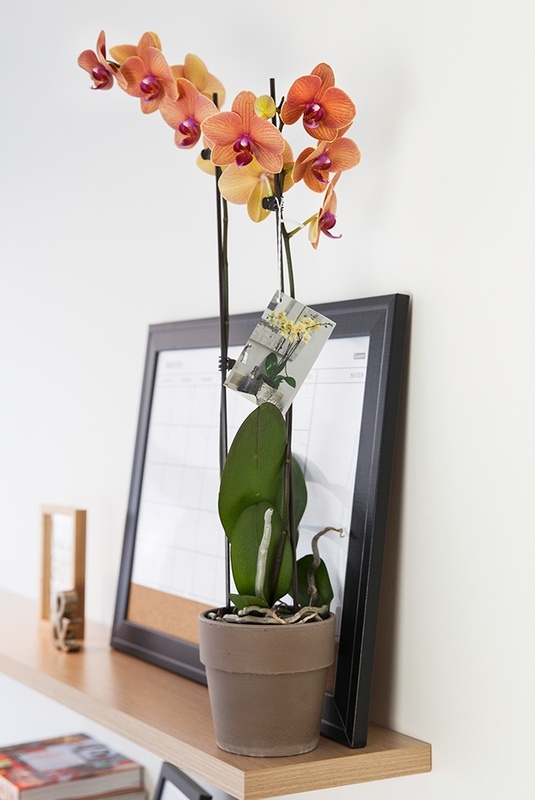 JustAddIce orchids and houseplants are easy to care for and available in a variety of colors and sizes to fit your personal style. You don’t need to be a professional to decorate like one!